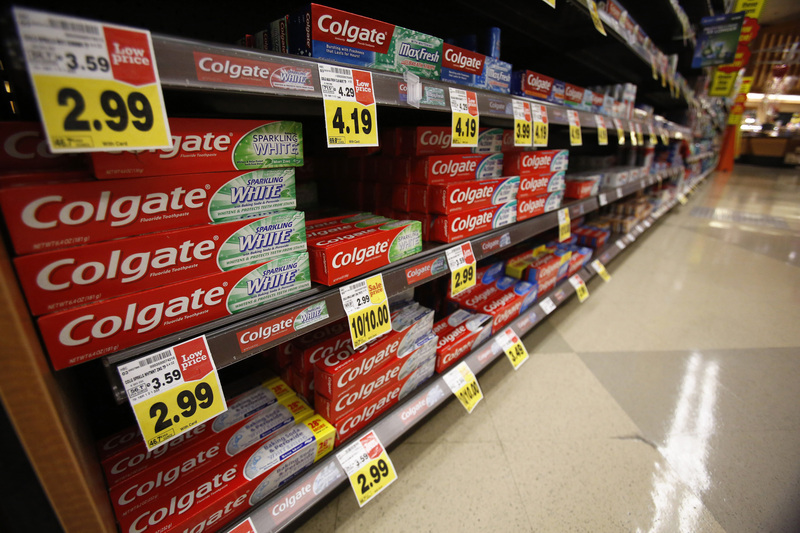 Colgate toothpaste is pictured on sale at a grocery store in Pasadena, California January 30, 2014. Colgate-Palmolive said on Feb. 11 that Chief Operating Officer Noel Wallace would become chief executive officer effective April 2. Wallace, who has been at the company since 1987, is replacing Ian Cook, who has been at Colgate since 1976 and served as CEO since 2007. Cook will become executive chairman for up to a year.